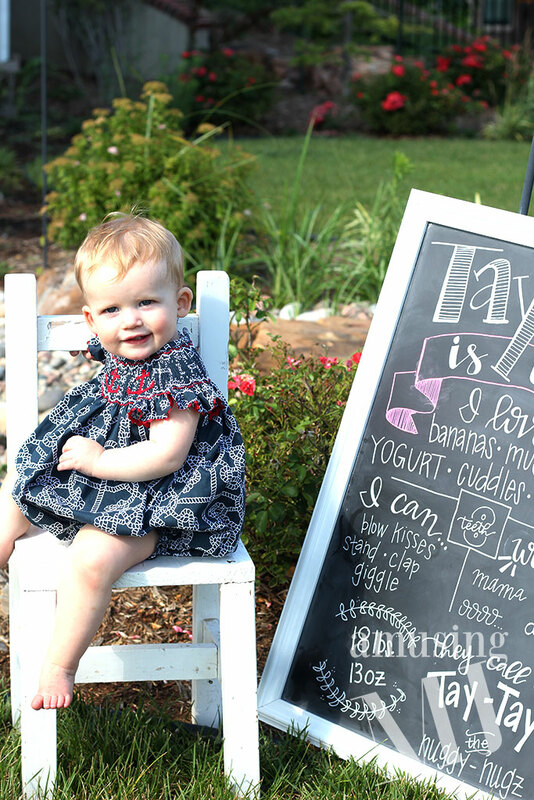 Taylor is a year! Actually she is now 15 months old… but I am THAT FAR BEHIND. 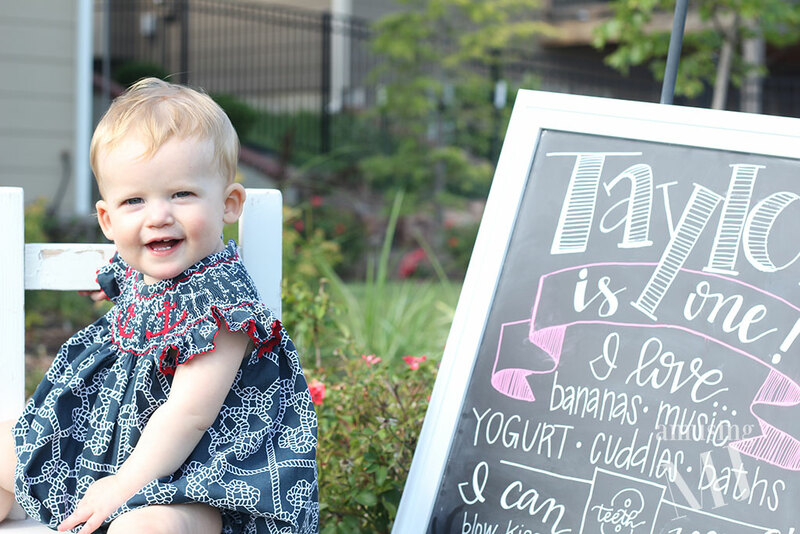 But I am getting back into the blogging routine, and I wanted to finish out Taylor’s monthly-ish posts for her first year. I took pictures for this post on July 4th in the afternoon and had every intention of writing this post the next day, but my grandmother (who I was extremely close to) passed away that evening, so that week was filled with her memory, family activities, and funeral preparation (I hope to post more about her next week). But on with the one year update! For Taylor’s first birthday (July 2) we celebrated at my family’s lakehouse where I spent the vast majority of my childhood summer vacations and it was so fun to be able to share that with Taylor. My grandmother, Nannan, was there, along with my parents, my older brother and my niece and Reese. 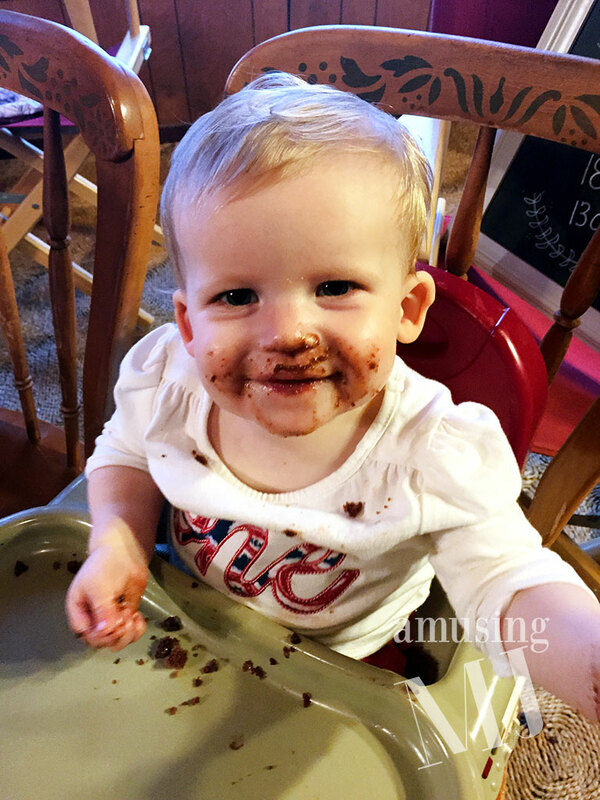 We made Taylor a chocolate sheet cake and even though she hadn’t had much sugar before and is an insanely picky eater, she LOVED her chocolate cake… I guess that apple doesn’t fall far from the tree! I love this little girl and her goofy smiles. She is such a ham, she loves playing to an audience, and smiles a lot! She is a super picky eater, but still loves sweet potatoes, bananas, avocados, yogurt and PUFFS. She has learned to blow kisses, which looks more like covering her mouth with a wide open hand, but she is so cute doing it and it makes her laugh! That girl! That outfit! Your cute decor! Love them all! Aww she’s beautiful! 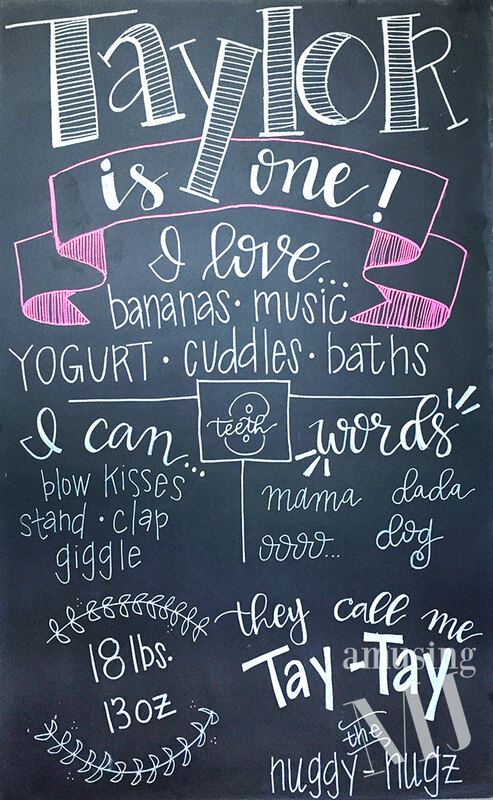 Found your blog through Pinterest and we’re obsessed!